We provide services VPS, Dedicated Server & DDoS Protection throughout the globe! A dedicated server is the ideal solution for larger businesses and high-traffic websites. Pure SSD, Pure Power! Try our SSD VPS and experience the best in speed & stability. DDoS Protection mitigates the attacks without getting in the way of legitimate traffic. Vikhost strives to provide quality web hosting services at affordable rates. We love what we do and always try to provide bests for peoples who trusted us. We are here 24/7/365 to assist you with any hosting questions. Allow us the opportunity to exceed your expectations!!! We provide an industry-leading 99.9% uptime guarantee across our entire network. All plans include our true round-the-clock support. We offer technical support, which is available 24/7. We protect customer data and information. We do not disclose your data to third parties. With multiple datacenters around the world you can pick your Virtual Private Servers or Dedicated Servers at the location you want. The closer you are to a datacenter, the faster the connection is. 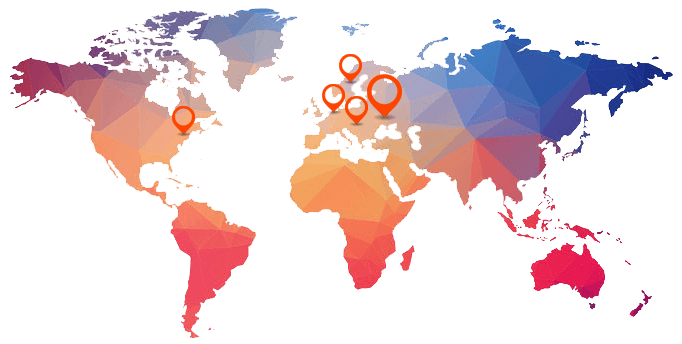 We offer VPS and Dedicated servers in 5 worldwide locations: UKRAINE, SWEDEN, GERMANY, NETHERLANDS, USA. Not sure which type of service you need? We will help you to pick the perfect service. It is time to stop dedicating your business to companies that do not have your best interest at hear. It is time for you to move your services to VIKHOST, a hosting company that is dedicated to keeping your servers and services up, so that you can focus on more important things like building your business or enjoying time with your family!